Nuts about nuts Food sovereignty, what’s that? 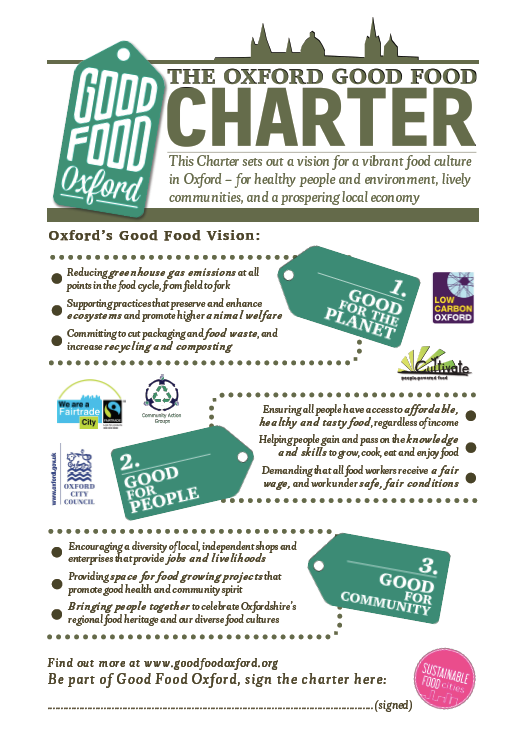 Good Food Oxford has focused its efforts on attaining three goals in Oxfordshire: building a good food economy; enabling healthy and sustainable eating habits for all; and eliminating food waste. Yet this begs the question – where are we now? We did a bit of number-crunching (or grabbed some of the numbers others have come up with) to provide a snapshot of the Oxfordshire Food System we’re trying to transform. We’re also in the process of gathering research about the Oxfordshire food system, so get in touch if you know of any! 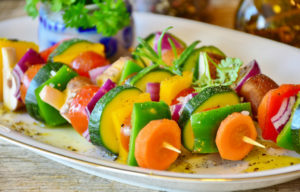 The food economy spans the farmers producing raw ingredients to those businesses that process, pack, distribute, sell, and cook up food. In Oxfordshire, a total of 196,897 hectares belongs to farmland, primarily for cereal crops (around ⅔ of the land), yet the number of holdings continues to decrease, as it has across all of England. A small sector, agriculture, forestry, and fishery contributed just £67 million of the £14.2 billion Gross Value Added (GVA) in Oxfordshire in 2009, and employed just over 4,000 people, including many casual workers. This is reflected in that less than 1% of Oxford’s food comes direct from local sources, and the rest is split between UK (51%), EU (33%), and rest of world (15%). All that doesn’t mean food-related sectors don’t contribute substantially to employment: just over 10% of Oxford city’s population was employed in accommodation and food service activities. And the retail, accommodation and food businesses are a more recent growth area, with nearly ⅓ established in the last five years. Oxford’s draw as a tourist destination – as the 7th most visited city in the UK by overseas visitors, attracting 9.5 million domestic and foreign visitors every year – generates £770 million of income for local Oxford businesses. As such, there is considerable opportunity for the city to grow more sustainable food businesses. But that’s just one side of the coin. Many move to Oxford city to join the ranks of a highly-educated and well-fed (formal dinners are quite extravagant!) population in an international intellectual hub. Living, studying, and socialising in the city centre, it is not difficult for students to spend their entire time in Oxford completely ignorant of the dramatic disparities of wealth and health that exist within the city and in the broader county. Ten out of the 83 Super Output Areas in Oxford are in the top 20% of most deprived in the nation. Further, one-quarter of children in Oxford, and over one-third of those in the most deprived areas, live below the poverty line. These circumstances have profound implications for things like health, education, and yes, food access and dietary choices. 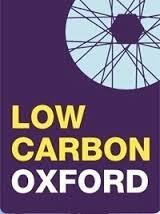 Health suffers accordingly; for instance adults in deprived areas are nearly twice as likely to be obese and live up to 10 fewer years than those in Oxford city. 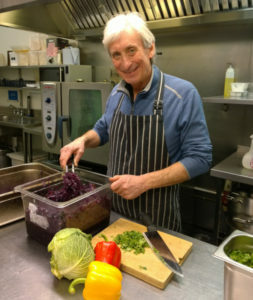 The Community Emergency Foodbank and the Oxford Food Bank are two organisations trying to combat this, respectively feeding 189 people per month on average in 2012 and redistributing surplus ingredients to deliver as many as 7,000 meals per week. In fact, the Oxford Food Bank prevents approximately 250 tonnes of food ending up as waste every year. That comes from the grocery sector (food retailers, wholesalers, manufacturers), which according to WRAP waste 4.3 megatonnes of food annually. Yet food is wasted or lost at all stages along the supply chain. Farm level waste – due to fruit and veg not meeting retail specifications or being improperly stored – is a much smaller piece of the puzzle in industrialised nations. In the UK, 65% of food wasted is by households, and in Oxford that amounts to 11% of food in homes. Oxfordshire may have the highest percentage of waste sent for recycling in the country, yet according to national figures, over half of food waste could be avoided entirely. These numbers paint quite a story. 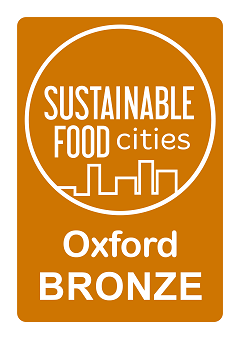 On the one hand, some effort has already been made to address the inequities and environmental failings in the Oxford food system. As the numbers suggest, there is still a long way to go; yet there is also great potential for setting up Oxford as an example (beyond its academic prowess) and scope for making a positive impact on the food system. Statistics for this blog post were very kindly compiled by Naomi Flagg, and summarised by Rachel Friedman.